Honey Lady Chai Honey is very popular. 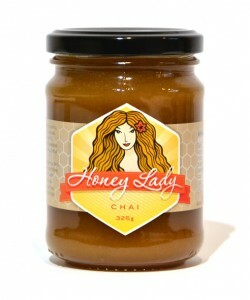 A mix of premium organic chai spices with Honey Lady’s 100% South Australian Raw Honey make this delicious Chai honey blend – a lovely spiced sweetener. In tea – plain black or chai tea for an extra kick. 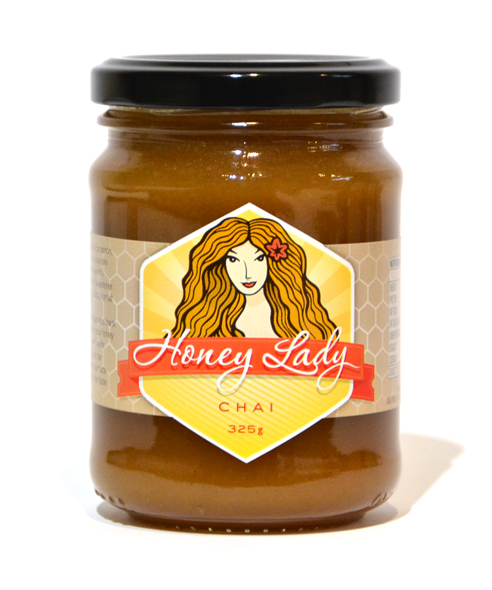 Honey Lady Chai Honey is available in 200g, 325g & 700g jars and can be ordered at the Honey Lady Online Store or from one of our fantastic Honey Lady Stockists. Aromatic and warming, Chai spice mixtures have a long history of use in Ayurveda and Ayurvedic practitioners will vary the recipe to suit each person’s medicinal needs. Different families may have their own favourite spice combinations handed down from generation to generation. The spices in this Chai blend are excellent digestive herbs, acting “synergistically” – which means that the herbs work together – to support the process of digestion. They may help to relieve post meal bloating, flatulence and cramping, and colicky discomfort. Research suggests that Cinnamon may help to balance blood sugar. In addition to their digestive actions, Nutmeg is traditionally used to calm an agitated mind and aid restful sleep, whilst Cloves have a pain relieving action. Several of the herbs have anti bacterial, anti fungal and anti viral activity which may help to protect against infections of both the digestive and respiratory tracts. In the winter months, this blend will help to warm you up and may help to ward off coughs and colds.